Rumor has it that material by the late Lil Peep will be released via Ron Perry’s Columbia, which will have access to the late artist’s archives. Meanwhile, a widely anticipated Peep duet with ILoveMakonnen, “Sunlight on Your Skin,” is expected to come out as a single on the latter’s label, Warner Bros.
Sarah Stennett, who managed Peep, has stayed on as manager for the estate. 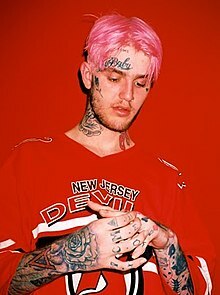 Peep, born Gustav Elijah Ahr, died of a fentanyl-Xanax overdose just after his 21st birthday last November. He released an official album, Come Over When You’re Sober (First Access/Warner Music Sweden), in August after dropping a handful of mixtapes starting in 2015.